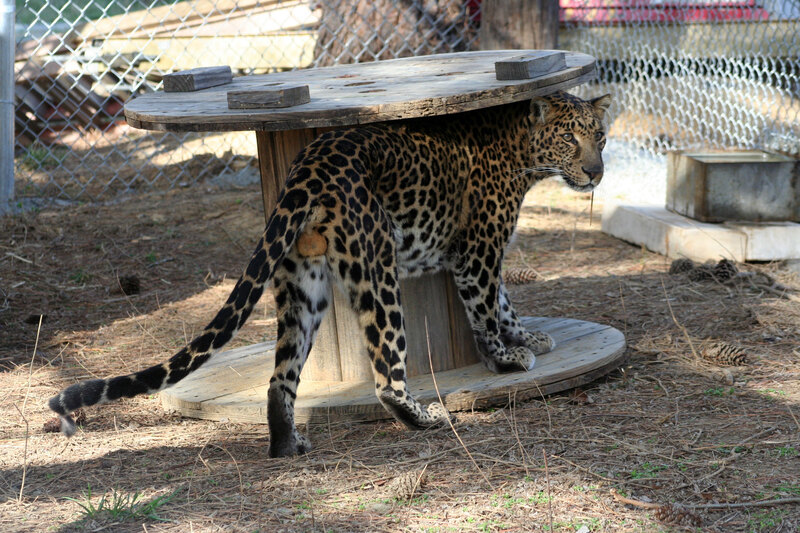 Carolina Tiger Rescue is excited to introduce our new leopard! Anthony is one of 16 animals that were rescued from a facility that closed down in Colorado. 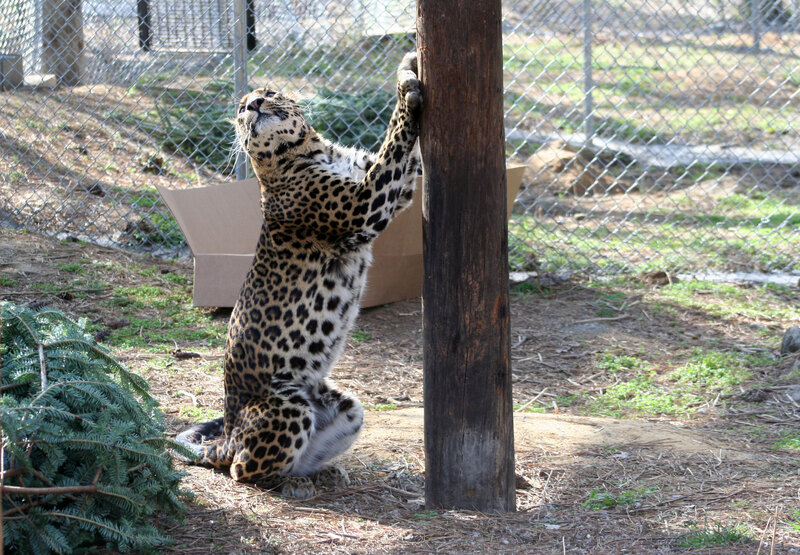 He is currently the only leopard residing at Carolina Tiger Rescue and it is exciting to now have him on tour! Anthony is in a brand new enclosure on the tour path. His new neighbors are Roman and Reina lions. Moving day was a wonderful day for all. Anthony loaded into the transport crate without issue. 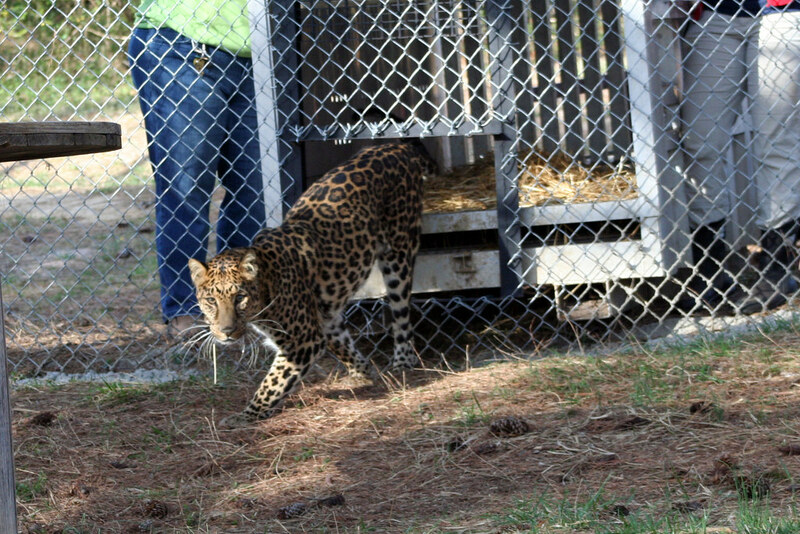 Once he had access to his new enclosure he confidently left the transport crate and began to explore his new home. 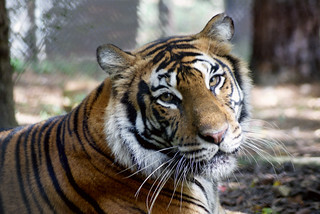 Anthony is a great addition to the Carolina Tiger Rescue family and we are so excited to have him on tour. He is a spirited leopard who enjoys attention. Anthony loves to show off his new toys to anyone who is around. He will come over to the fence and when knows you are watching, he will walk around and play with his toys as if to show them off. Anthony loves enrichment and we have discovered he enjoys anything that has lemon or lime extract on it. He will roll all over it, tear it up, and simply lay on anything with citrus extracts on it. Anthony is very athletic and, thanks to his new adoptive parent, he will soon have some beautiful, high platforms he can climb and lounge on. We hope that you will join us on a tour soon to meet Anthony and the rest of the animals at Carolina Tiger Rescue, you will not be disappointed!